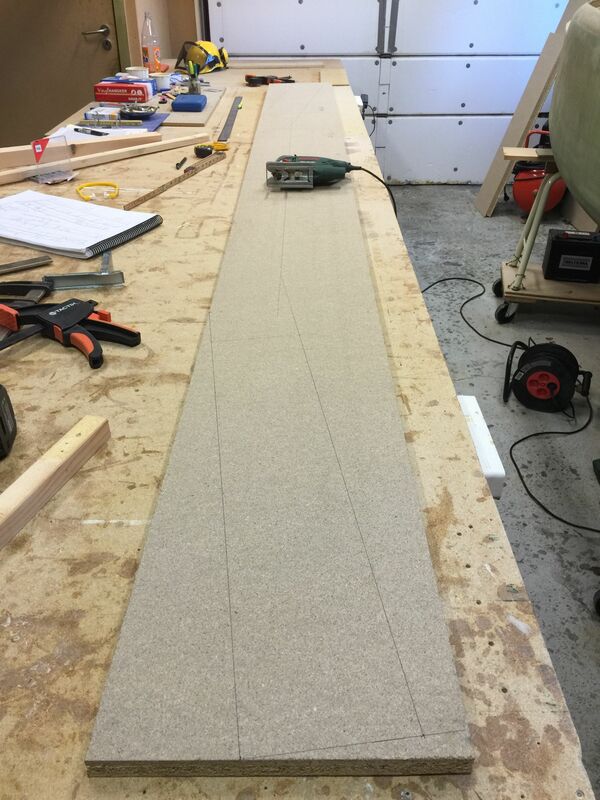 2015-03-28: Started by making the jig out of 22mm particle board. First step to cut the board(s) 12.5″ wide and 136.92″ long. Draw up the lines according to plan. 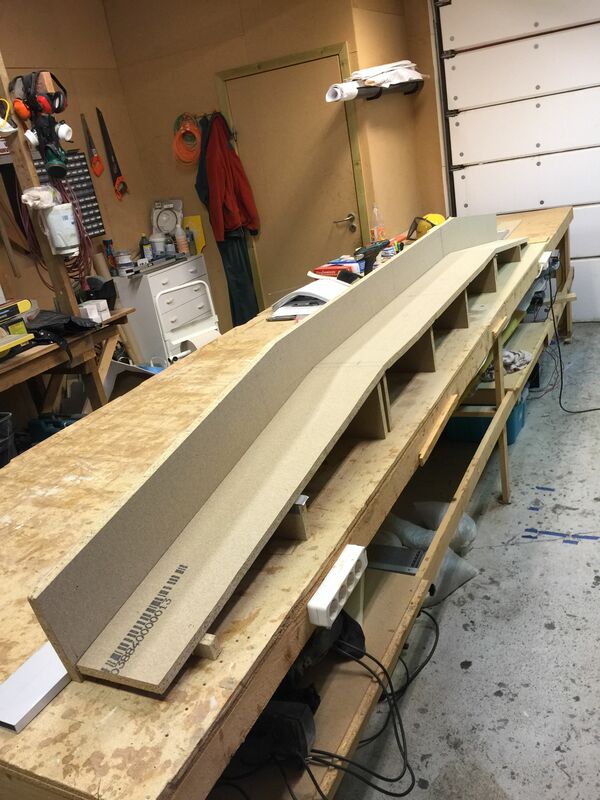 2015-03-28: Built the jig according to plans. 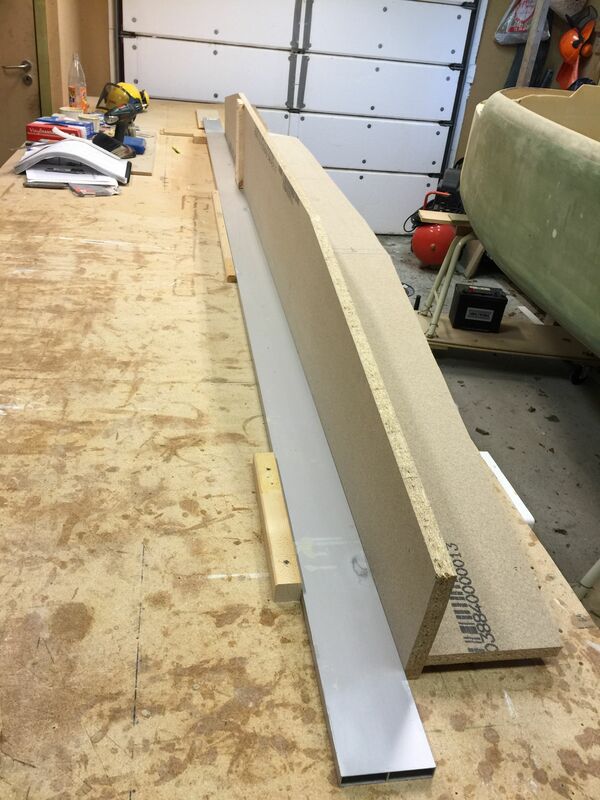 2015-03-28: Used an aluminum straight edge to be sure the jig is absolutely straight.